There's more to Mascot than just a bunch of homes, an airport and a train station that some people still don't know about. 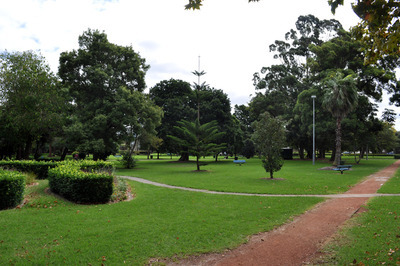 It's also home to a range of different parks and playgrounds, including the beautiful Mascot Memorial Park. 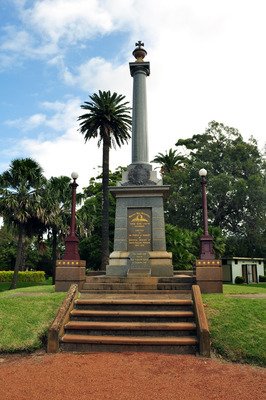 Located on the corner of Botany Road and Coward Street, Mascot Memorial Park features colourful manicured gardens, surprisingly wide open spaces, and a memorial statue and plaques commemorating soldiers of World War II. This relaxing and peaceful park is the perfect place for locals of all ages to have a great time outdoors. 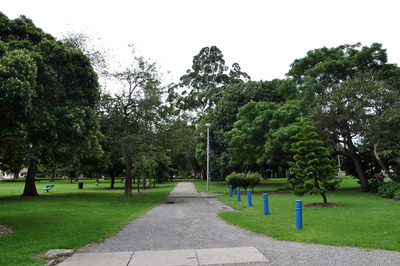 Mascot Memorial Park is the ideal place to go for a stroll by yourself or with your doggy best friend. You and your dog will enjoy the fresh air and attractive scenery as you wander from one corner to another. You may find others also getting some exercise with their pooches, but rest-assured that the park is big enough for you to keep your distance if you and your dog aren't feeling very social. 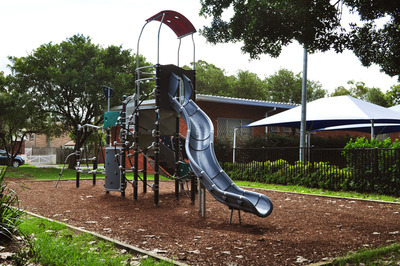 It's also a great way to give your kids some much-needed fresh air and physical activity. Watch them have the time of their lives on the playground or swings, or bring along their bikes or scooters for some laps on the pathway. If you're also feeling active, you could always bring a ball along to kick around or play some good old-fashioned catch. With pathways and different types of garden features almost separating the park into little sections, it's the perfect place to go for a relaxing picnic without anyone getting in your way. Unfortunately there are no BBQ facilities, but who needs them with Mascot shops just down the road? If you don't want to bring your own food or decide you're hungry at the last minute, simply walk the 5-10 minutes it takes to reach the variety of food outlets and restaurants Mascot has to offer. What's also great about Mascot Memorial Park is that you can also bring some mates along for a game of tennis. 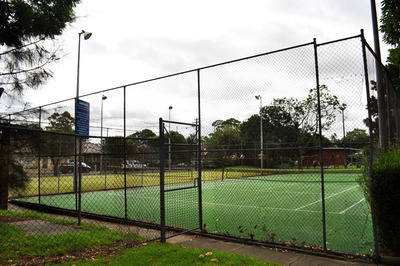 The Aloha Street Tennis Courts have two tennis courts with entrances on either the park or Aloha Street (off Coward Street). Bookings can be made on (02) 9366 3666 before 4:30pm, and costs you $22 per hour during the day, or $27 per hour at night until 11pm. If you book 10 sessions then it's only $18 per hour. You'll need to leave a $200 deposit when you pick up the keys across the road from the Council, which you'll then get back when you drop the keys off. What makes this park more special is the sense of community and culture it provides. Not only does it have a lovely memorial statue and plaques, but it holds an Anzac Day celebration to commemorate our much-loved soldiers. The park also hosts a Carols by Candlelight celebration every year, perfect for those who want to take part in carols but not have the hassle of going to and from the city and dealing with crowds. And if you can't picture just how lovely a park this is, then you might be interested to know that couples even have their wedding ceremonies or photographs there - just a slight indication of just how picturesque this place can be. Why? Enjoy some fresh air by yourself or with friends. When: Whenever you feel the need.